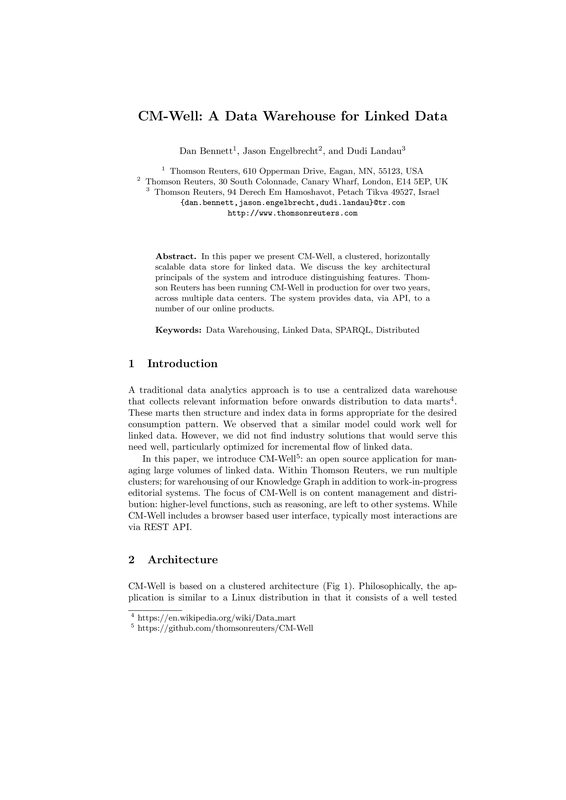 In this paper we present CM-Well, a clustered, horizontally scalable data store for linked data. We discuss the key architectural principals of the system and introduce distinguishing features. Thom- son Reuters has been running CM-Well in production for over two years, across multiple data centers. The system provides data, via API, to a number of our online products.